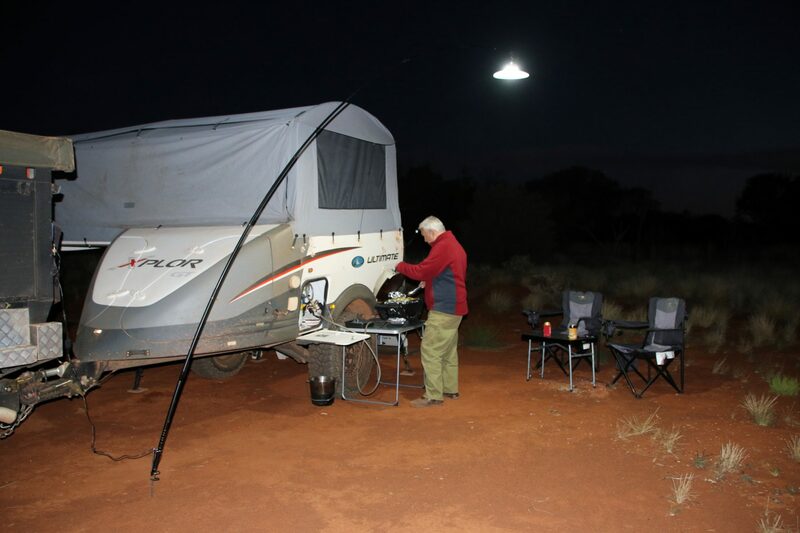 There are so many options these days when it comes to campsite lighting, it can be difficult to make a choice. From humble headlamp, portable lanterns, strip led lights, or perhaps your RV comes with outdoor lighting already installed, the list is almost endless. 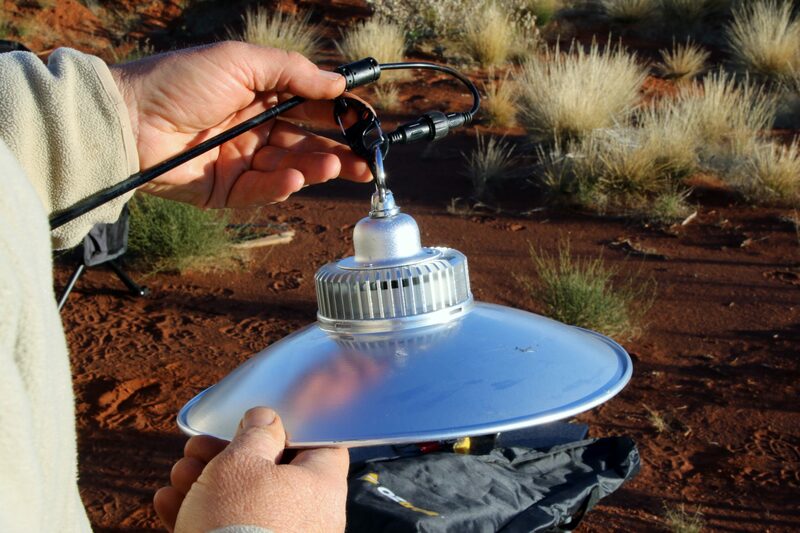 But what if we told you there is a different camp light; one that will light up your whole campsite with an incredible spread of elevated light, its dimmable, plugs into a cig socket and draws around two amps, its lightweight and packs away in its own carry bag. Surely, you’d want to know more. This light has stacks of features, let’s take a look at what it’s got. 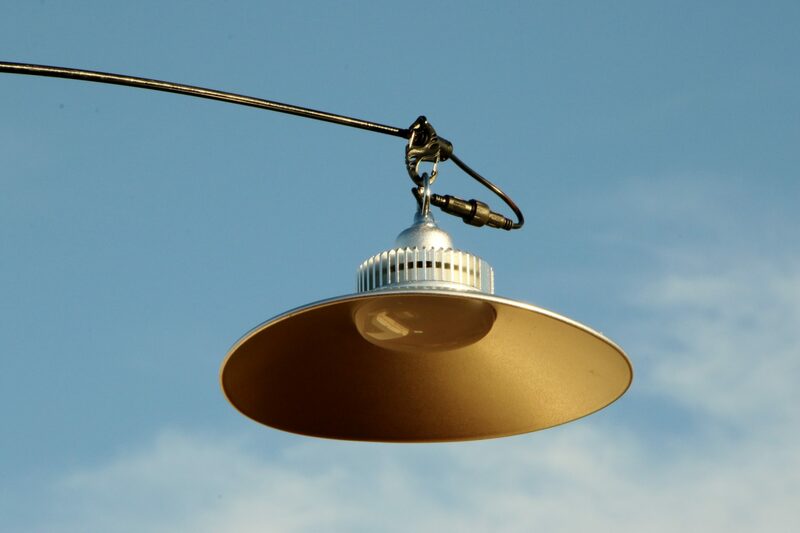 The aluminium reflector spreads a large circumference of light. It come with a variable dimmer switch to foster that mood lighting feel around camp. The whole lot packs away in its own storage bag (supplied). The light was very easy to set up and we were very surprised at the spread of light it produced. Being an elevated light, at no time did we find we were being blinded when compared to other lights positioned at head height. We also liked the dimming feature which was a nice touch for when you’re still looking for lighting around camp, but just not a super bright light. Being such a lightweight accessory, we did find the light a little hard to control during wind, and the sand spike a little flimsy for hard ground. The fact that this light is portable, elevated, and draws just 2amps to produce fantastic overall lighting, it’s an excellent way to light up everyone at a large gathering. As the saying goes, “Let there be light”! And there it was….the Comet from Oztrail.